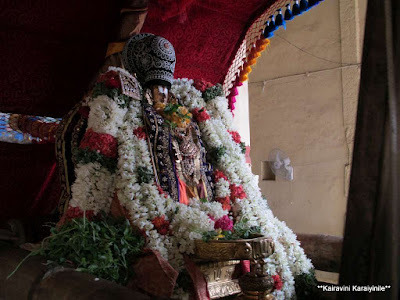 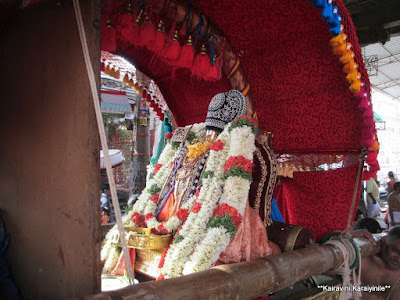 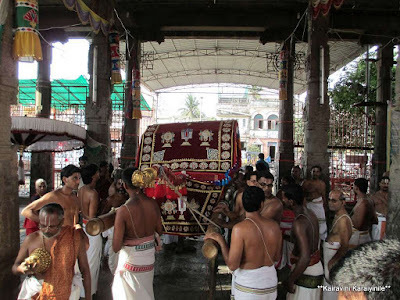 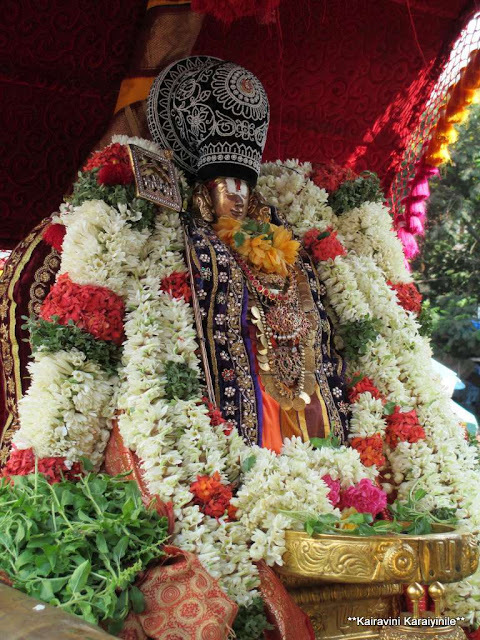 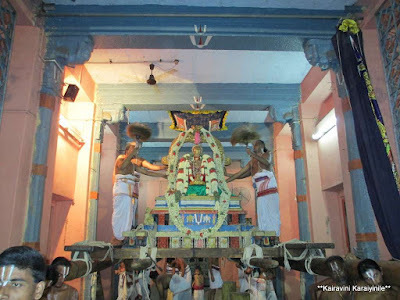 At Thiruvallikkeni divyadesam, the temple festivities are always continuous… just a day after the conclusion of the grandiose Brahmothsavam for Sri Parthasarathi, today 5th May 2013 [Chithirai 22] began the grand Uthsavam of our Greatest Acharyar – Sri Ramanujar. 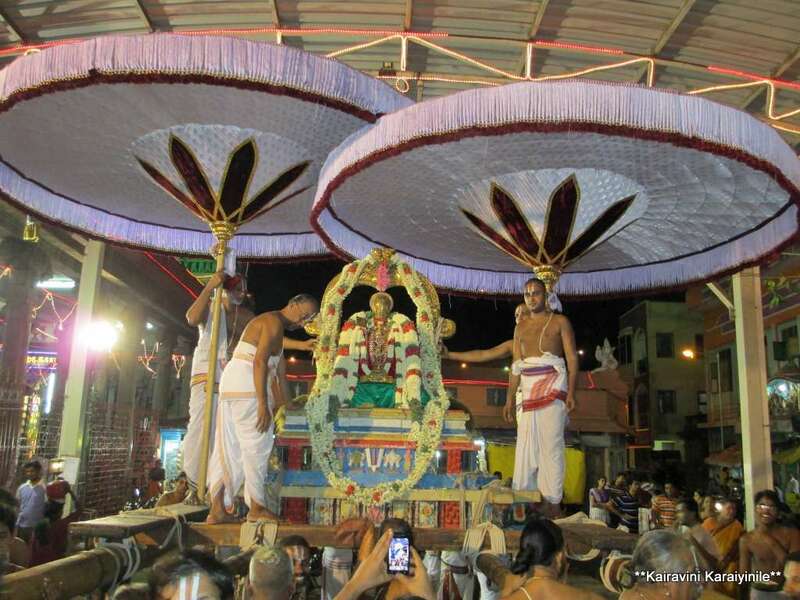 Triplicanites were too happy to have darshan of Sri Ramanujar in palanquin this morning and in big tholukkiniyan in the evening. Here are some photos taken by me during the morning purappadu in pallakku and evening in dharmathipeedam.